The Fund’s remit is to help ‘needy, young artists with their training in Acting or Singing’. We have had the privilege to have sponsored hundreds of amazing young people over the last 15 years – affectionately called our ‘Sophies’. Many have gone on to work professionally in their chosen field, from Opera to Musical Theatre. You can read messages of support from them on our Past Scholars page. 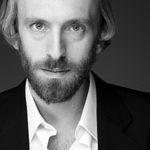 Actor and founding member of The Faction theatre company. Currently touring as Malvolio in their acclaimed “Twelfth Night”. Jane Maudsley is a past scholar of Sophie’s Silver Lining Fund. Jane read Music at the University of Sheffield (1997-2000) and then furthered her Classical Vocal Training at the Royal Scottish Academy of Music and Drama (2002- 2004) where she was fortunate to complete her Masters with the help of the fund. Whilst at the RSAMD she completed PGDip (Concert Singing) and MMus (Performance). 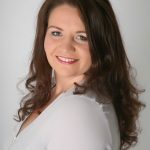 Jane moved back to the North West and whilst continuing to sing and audition as a Mezzo Soprano quickly established herself as a Vocal Tutor throughout the Schools in Lancashire. 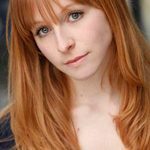 In 2007 Jane founded the Performing Arts Organisation, Little Voices, training children aged 4 -18 years in Drama and Singing using a unique framework of lessons, very small class sizes and working specifically towards accredited Musical Theatre examinations. Little Voices has many venues in the North West, London and is growing nationwide. Jane feels very lucky to have been supported by the fund and realise her dreams of success. She was honoured to be asked to become a SSLF Trustee in 2010. Ilona has a very busy summer of performances including Tatiana in Eugene Onegin by Tchaikovsky at Grange Park Opera at Nevill Holt (press on the link) with further 4 performances 14th-16th September at The Grange, Hampshire and at the Cadogan Hall, London 20th September. Currently appearing at the Royal National Theatre with Anthony Sher in ‘Travelling Light’. The Charity also donates around £8,000 a year to a number of Institutions who choose a worthy recipient for us. We only support students who apply directly through the college and conservatories that we have relationships with. We cannot accept direct applications to Sophie’s Silver Lining fund for support.